This trend is reflected in the establishment of new entertainment activities: leisure, gastronomy, shopping or culture, among others, in the so-called “aerotropolis”. The final aim is to make waiting times more pleasant and to make the passenger experience truly comfortable, enhancing conditions and improving processes inside the terminal. The Internet of Things helps to solve these problems in the same way as it does in the smart cities projects. It is remarkable that smart airports are a combination of small smart cities and smart buildings. Innotech Insights Ltd., a leading solutions provider within crowd observation and passenger data collection, developing new technological solutions for transport, event and urban data collection with a focus on connectivity, public safety and evacuation. They deployed a series of devices to monitor people movement and crowd behavior in the Airport of Manchester. The company chose Libelium’s Meshlium Scanner to detect smartphones and cellular devices, measuring people’s movements inside the airport. 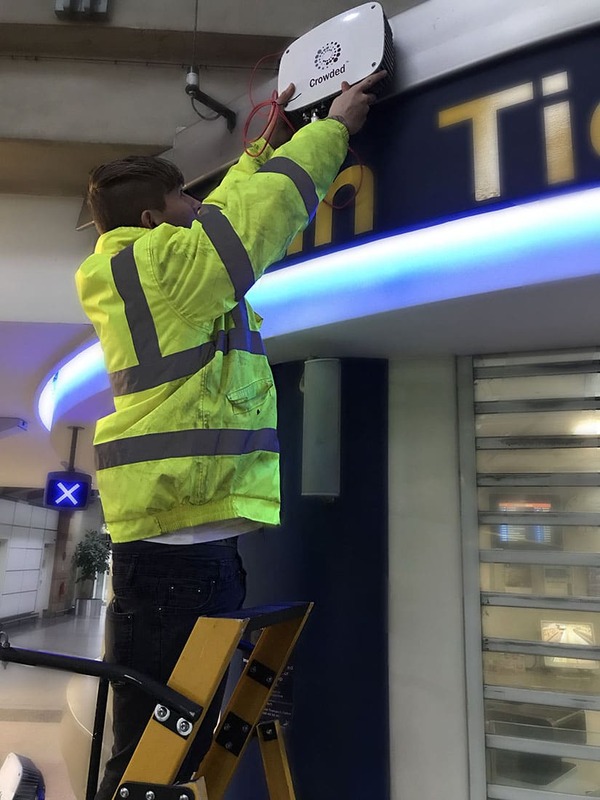 Six devices were installed, optimized for temporary application using Innotech’s off-grid POE power packs, across the terminals in order to understand flows, detect and prevent eventual bottlenecks and especially ensure people’s security. Meshlium Scanner is able to detect any device working with WiFi or Bluetooth interfaces. These devices can be detected without the need of being connected to any specific Access Point, enabling the detection of any smartphone, laptop or handsfree device which comes into the coverage area of Meshlium in a certain point at a specific time. Innotech Insights scans devices via WiFi in order to monitor people movements and crowd behavior. 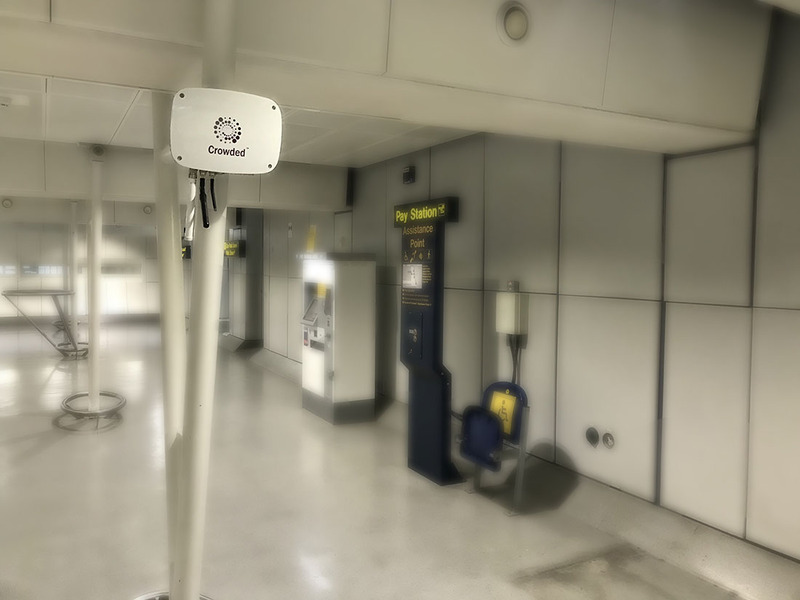 Meshlium Scanner gathered analytical anonymous data by picking up WiFi signals within the areas of the sensors and they automatically transmitted the data to the Crowded™ platform. From there, the Crowded™ platform created by Innotech Insights, utilizes the very best in technology to provide an accurate, cost effective pedestrian movement analysis solution that meets the growing demands of both the private and public sectors. By creating a network of independent sensors, over 90% of individuals in most areas are gathered and the system sends that raw information directly to Crowded™, which automatically generates visual charts and maps to display simple graphs for the client. The initial requirement for this project was to monitor pedestrian movement around the airport at their designated locations: to capture volume of visitors per day, identify and track all captured visitors as “unique individuals” to outline actual journeys, show areas that could be considered bottlenecks, indicate unexpected “dwell” areas to highlight security concerns and show an average journey time between all identified areas based on individual movements. These measurements are extremely useful to predict the needs of the people at airports and to trace evacuation and safety routes. 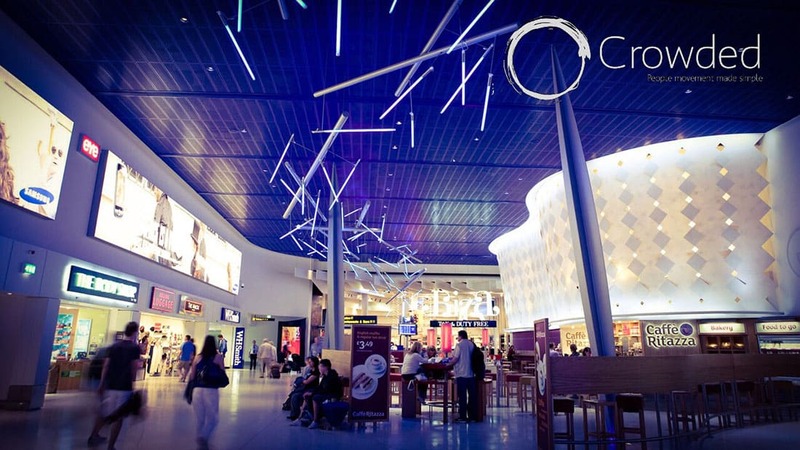 In addition, it can be highlighted that Meshlium Scanner technology can be complemented with sensor networks that identify the environmental conditions inside the airport facilities (humidity, temperature, noise or air quality) allowing managers to guarantee their commercial spaces a level of comfort which works on favor of passengers consumption, which is highly appreciated by the stores. “We chose Meshlium Scanner because it has been part of our overall solution for some time as we feel it is the most advanced scanning technology on the market,” declares Liam Wright, Managing Director of Innotech Insights. Wright highlights the great feedback they are obtaining, with major interest from transport consultancies, cities, major retail and transport hubs. Once the hardware has been scaled up, the platform is able to process data from hundreds of projects anywhere in the world and will be available as both temporary and permanent installations with a monthly subscription which will be far more cost effective than current methods of data collection. “Libelium are fantastic in their support and we look forward to a solid working relationship as we provide ongoing advancements in data collection,” states Liam Wright. 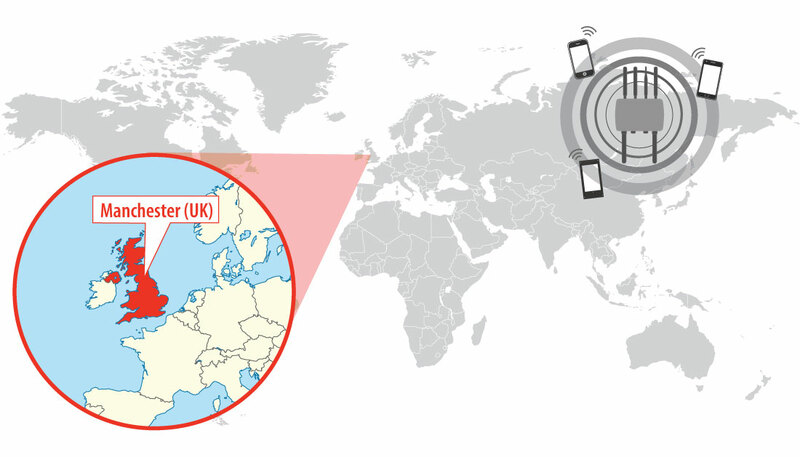 Smartphone detection scanner to identify volume of visitors and behaviors in United Kingdom trade fair. Smart Airport project: monitoring environmental conditions in Santiago de Chile airport. Detecting road modality and occupancy patterns to enhance urban planning in Dordrecht Smart City. Discover the Innotech Smart Crowded Solution Kit at The IoT Marketplace.